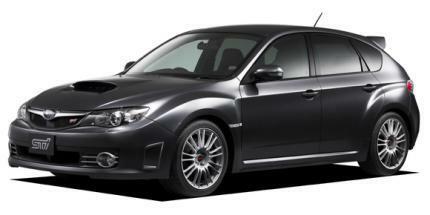 Jeremy Clarkson from Top Gear said that the Subaru Impreza WRX STI looks like a smashed buttock, I think it looks pretty cool, myself. 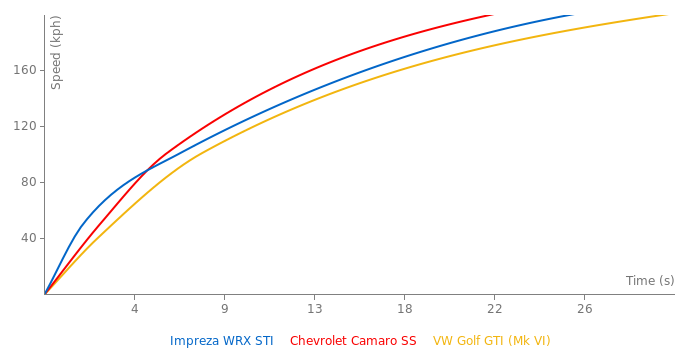 @VW Veyron SS - yea, your buying a subaru, don't buy it for straight line speed. A mustang GT/camaro SS cost less than this and that's why I'm looking at buying those. That being said, for the windy canyon road a subaru would def. be awesome. Waste of money for drag racing at this price. A 2002 Camaro Z28 or 2002 Trans Am WS6 will edge it out in the 1/4 mile and SMASH it in the standing mile and top speed. If you take cars to a race track then it's a different story though. A lot of specialists state that business loans aid a lot of people to live their own way, just because they can feel free to buy necessary things. Furthermore, some banks present short term loan for all people. How can this be faster than a Porsche 997 GT2 but slower than a Renault Megane Sport at Bruntingthorp? Watch the Top Gear episode again. The STi beat the EVO X, but they liked the EVO much better. bought one 4 month ago. Blow-off valve, stage II, new exhaust System (thrust). accelerating is far behind that 4,4 (0-100) more than 5,5s. From 1st gear to 2nd it is ver slow and gives strange noises, and cannot make the 100km/h in second gear, so you have to put the 3rd... BUT not ugly, very nice, and I love it. Good car for 40k USD. Which issue/month of Best motoring featured the 2.5L WRX STI in tsukuba? Was it a test vehicle? As far as i know, the 2.5L are only for export markets. 1 min 14,41 sec at INTA. 0-100 km/h real in 4,80 sec. I´m glad to help sometime. Ulven source and data are correct ... I have deleted that pointless blaming each other. Performance data from Auto motor und sport: 0-100 km/h 5,6 sec. Your 0-60 is off for the 08 STI. Search the Internet. Most reviews get mid to high 4's. sportauto clocked disapointing 6.0s 0-100km/h but nearly reach the same 0-100mph/160km/h time... like the Evo X the WRX sTI fights with increased weight at the Hockenheimshorttrack..
be realistic. 0-100km can't be under five seconds with 194 hp/tone. even in a awd like this. Are there any 0-100km/h tests? Sportscars made a short test with the WRX STI ..the press car with the licens plate "FB-PR 314" missed factory claim 0-100km/h by whooping 0.6s .. sportscars was not able to get the car 0-100km/h in under 5.8s something they were realy disapointed about.